In 1975, singer-songwriter Graham Russell and vocalist Russell Hitchcock formed Air Supply, and they have since shared their passionate and soft rockin’ music with the world. They have been able to pack theaters internationally and become multi-platinum over the 40 years they have been together. Air Supply has released great hits such as “Lost in Love” (the fastest-selling single in the world in 1980), “All Out of Love,” and many other hits that we still hear on the radio, in movies, and on stage. For one night only, February 26, 2017, State Theatre New Jersey will host Air Supply in an astonishing live show that will bring you all the hits you remember. Graham and Russell first met while performing in an Australian production of Andrew Lloyd Webber and Tim Rice’s hit rock opera Jesus Christ Superstar in 1975. 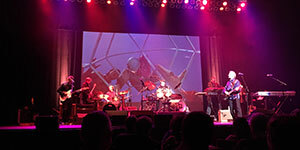 After shows, the two would play gigs in smaller venues and were noted for not only their original works but their in-sync harmonies that made their music stand out. They made a demo on a cassette of two songs, “Love and Other Bruises” and “If You Knew Me” and took it to every record company in Sydney. Everyone turned it down but one—CBS Records—who admired their unique style. They made a single in one afternoon and it shot to number one on the national charts. Air Supply was born! 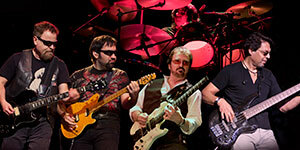 Working their way through the industry, they were discovered by a New York music industry executive. Air Supply—which according to Hitchcock means “Plenty of Melody”—then recorded Life Support, which featured hits like “Lost in Love”—which sold over 20 million copies and was named 1980 Song of The Year. Seven Top Five singles later, Air Supply had become a force in soft rock music; they were even the very first group to perform in China and several other countries who, beforehand, would not allow any kind of pop music to be performed. Due to this incredible feat, the band was able to record a Greatest Hits album, which would feature “Make Love Out of Nothing At All.” Air Supply’s sound was so popular, it caught the ears of his royal-highness Prince Charles and the late Princess Diana, as the two asked the band to perform for them. 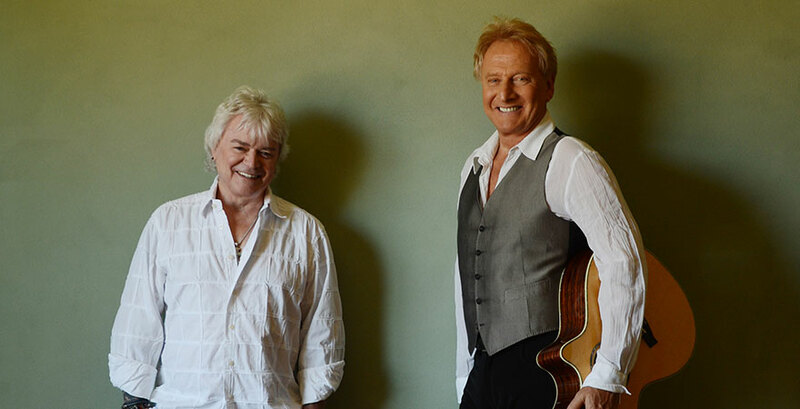 Since 2000, Air Supply has had complete creative control over their group after they signed on with; “A Nice Pear” a new production company that would be devoted to the future of the band. As of this year, Air Supply is still playing 150 concerts a year worldwide, playing venues in not only the United States, but in Israel, Japan, Scotland, and many other countries that once banned pop music, unlocking a whole new sound and a whole new world. You can witness the sounds for yourself on February 26, 2017 when State Theatre New Jersey presents Air Supply. These rock ballads can be very emotional and soulful, but please don’t bring any lighters!